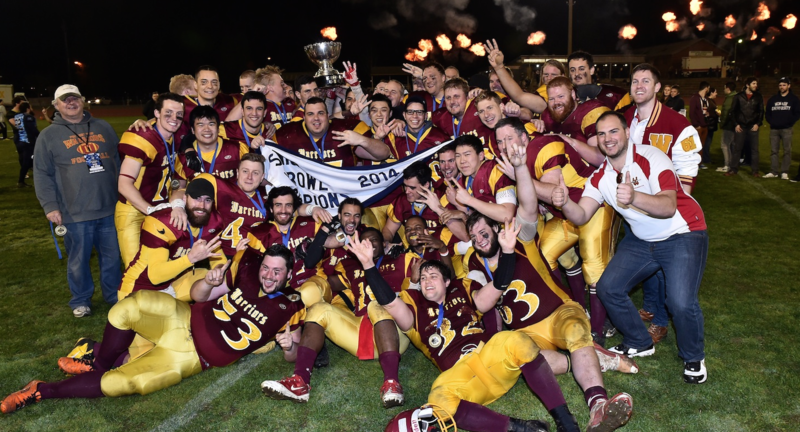 We have two Senior Men’s teams – Warriors & Barbarians. The Warriors are in Division I whilst the Barbarians do battle in Division II. Having two teams enables the Warriors to offer players a position in a team that best suits them. Playing in the Barbarians enables players to develop at their own pace at a level which is not as fast paced or hard hitting as the games in Division I. For the serious player looking to take the game full on, the Warriors offer a position that can only be earned once our coaches believe they are developed for Division I. The Warriors place a huge emphasis in the training & development of players. We offer support from some of the best coaches in Australia whilst also using the services of specialist coaches from around the world. However big the goal is, the Warriors are best positioned to help you achieve it. We are the most successful club in Victoria which we believe is due to the training and development that we put into our coaches and our players. We enable our players to come in and play and enjoy the sport that they love. Unlike most sports, Gridiron has positions available for all body shapes and sizes. Why not give it a go? We offer an inclusive, supportive and yet competitive environment which encourages players to do their best on and off the field. Incorporating the important USA philosophy of developing the “student first, athletes second but both important” we will support players to achieve through academics and sport. 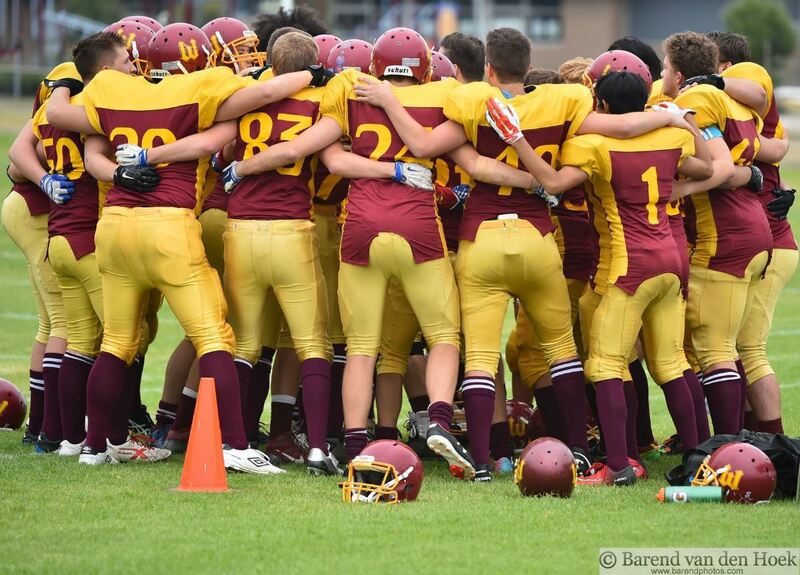 We provide elite level coaching and advice from accredited coaches, medical supervision, a “just like the movies” training camp, all training gear and protective equipment and support to achieve Victorian or Australian representation. We can also offer advice for players seeking college scholarships. 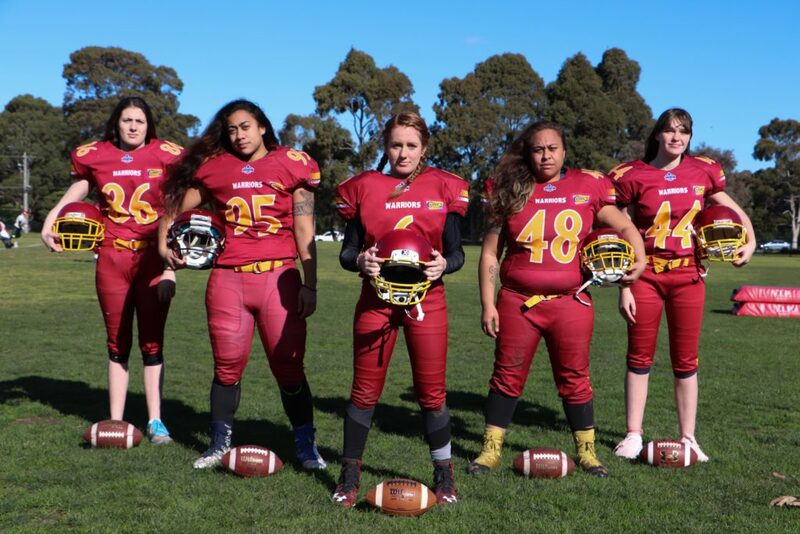 The Monash Warriors Womens team competes in the Gridiron Victoria women’s competition. We play 9 a side, full contact football. Ages 16+ with NCAA compliant equipment provided by the club.